Here’s the relevant facts as I see it on Iodine. I’m going to break this down as simply a I can. Keep in mind there is not a ton of peer-reviewed literature and opinion among the expert vary as to how much iodine and what type of iodine we need. With that caveat in mind I will now wade into the fray! For those of you who do not want the juicy details I will summarize the salient points: The RDA is 150 MICROgrams and you’ll find that in most good multivitamin sources and tinctures and capsules based on kelp and other herbal materials. This is what is found on most internet sites and health food stores. Although this is a bare minimum dose it is what most physicians and pharmacists are most comfortable with. In my opinion, this is bare bones iodine supplementation. 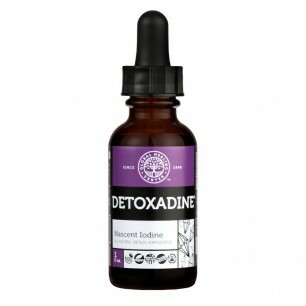 Detoxadine is nano-colloidal nascent iodine. It is produced with a transformative bio-elemental matrix and, with a glycerin base, is designed to be more gentle on your digestive system than iodine supplements that contain alcohol. It's created from 300 million-year-old salt deposits located more than 7,000 feet below the earth's surface. It is an extremely pure nascent iodine that is both concentrated and free of additives and toxins. Each drop is loaded with 650 micrograms iodine and it's screened for radiation. If you want to go crazy and take a higher dose, for non-emergencies, 30-50 MILLIgrams, in my opinion, is as high as you should go. It’s probably safe (although no one know for sure), but be vigilant for hyperthyroid or hypothyroid symptoms. Signs of hyperthyroidism include oily or sweaty skin, high blood pressure, heart palpitations, jitteriness,bulging eyes and signs of hypothyroidism include sluggishness, low blood pressure, dry skin, cold extremities, fatigue and hair loss . 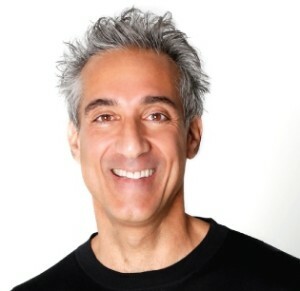 In iodine deficiency conditions, again according to Dr. Schacter, it can take several months to become sufficient taking this kind of dose. How Much Potassium Iodine Should I Take? The 130 MILLIgram dose (and some people are suggesting 150 MILLIGRAMS!) 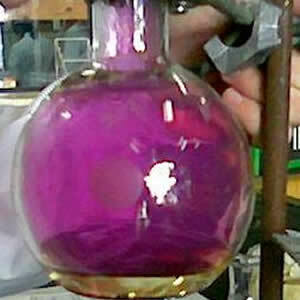 is extremely high and not required for most iodine needs. It is considered an emergency dose for those who live near a site of large release of radioactive iodine-131. According to the CDC a single 130 MILLIgram dose of Potassium Iodide protects the thyroid for 24 hours. Keep in mind, too much iodine can be a problem and, for whatever it’s worth, this is not a dose I can recommend for other than an emergency. That beng said, there are physicians who are on record saying that higher doses, even gram amounts (1 gram = 1000 MILLIgrams) can be used therapeutically for cancer and other life threatening health issues for short periods of time. 3) Lugol's Solution which is standardized to 10% iodine, although due to FDA interference most Lugol’s today is 4% or 2% strength. Nevertheless, we will base the math on the traditional 10% Lugol’s formulation. This is a combination iodine product made with Potassium Iodide (76.5% iodide) and Elemental Iodine. The way the math works on this one, 2 drops of Lugol’s is the equivalent 13mg dose of an Iodine/Potassium Iodide blend. Because some of that iodide is in a potassium iodide format, which contains some potassium, somewhat less than 13mg is going to be iodine. After all is said and done this nets a total around 11gm of iodine per 2 drops. And, this allows the patient to have the benefit of both iodine and iodide, although this is a less relevant concern for people using Lugol’s for radiation protection. This means that around 24 drops of Lugol’s 10% solution is require to deliver the 130mg dose required for radiation protection. 4) Iodoral Tablets and Iodizyme-HP tablets are available as 12.5mg strength. Like Lugol’s Solution, they are a blend of potassium iodide and iodine (in a 60 to 40 ratio) so that a 12.5mg dose (due to potassium concentration) like Lugol’s solution will contain less than 12.5mg iodine. The math works out to a little less than 11mg of iodine. Thus 12 tablets would be required to give you the protective does equivalent of 130mg of Potassium Iodide. Gelatin, Purified Water, MCT, Vitamin E, And Rosemary Oil As Natural FreshCare Preservatives. 5) Then there are the Kelp and herbal based tinctures which are mostly formulated to provide MICROgram amounts (which differ by a factor of 1000 from the MILLIgram amounts we have been discussing; they are usually formulated to provide the RDA levels of 130 MICROgrams a day). Although they are standardized to Potassium Iodide levels they contain colloidal iodine, which is a unique form of iodine. It may be more effective than other forms, but the small concentration mandates require serious mega-dosing to reach even optimal doses. The heroic dose for protection from nuclear iodine fallout, for example, would necessitate taking 866 drops to reach the 130 MILLIgram levels suggested for protection from radioactive I-131. 1) Potassium Iodide - This is the standard form of iodide delivery. It is the form suggested in the literature for protection from radioactive Iodine 131. It is 76.5% iodine, the remaining 23.5% being composed of potassium. 2) Potassium Iodate - is I03. This means it is 1 molecule of potassium with one molecule of iodine associated covalently with 3 molecules of oxygen. It is considered to be 60% iodide. The remaining 40% being composed of oxygen and potassium. 3 and 4) Iodine and Iodide- although used synonymously they are electrically different. Iodide is reduced or negatively charged iodine. And iodine is the active element is its uncharged state. Some literature suggests that different people and conditions respond differently to iodide and iodine. If you are using a blend (Lugol's or Ioderol or Iodizyme HP) you're getting both forms and that seems to me to be a better option than just the iodide form (as in SSKI or KI) , although general consensus among the experts is mixed. 5) Colloidal iodine is food based iodine and is the form available for herbal and kelp based tinctures and tablets and capsules. 1) there is the RDA dose which is 110-150 micrograms (NOT milligrams) a day of iodine (220 micrograms for pregnant and 290 micrograms for lactating women). Many kelp or food/herb based capsules and tinctures contain 150 micrograms (NOT milligrams) per drop and are based on delivering the RDA dose. They are NOT formulated for heroic dosing for emergencies. 2) there is the optimum dose, which is based on the traditional thyroid health of the Japanese which is 12.5 to 13.0 milligrams (NOT micrograms) a day. No one really knows how much iodine is needed for good health or protection or total saturation in an emergency condition. It's mostly speculation and there isn't much research available. Remember: not all iodine preparations contain the same concentrations of active iodine. You can take too much iodine! A 130 milligram daily dose is a lot and one probably shouldn't be on that much iodine for much more than a month, although I must stress this is still guesswork. If you do take high concentrations of iodine, be vigilant for any unusual symptomology. Hyperthyroidism (oily or sweaty skin, high blood pressure, heart palpitations, jitteriness, bulging eyes are some symptoms) or hypothyroidism (sluggishness, dry skin, cold extremities, fatigue, hair loss ) are the most typical problems. I wish I could be more definitive, but everyone is different and there simply isn't a lot of research literature. Iodine supplements only protects against radioactive iodine NOT plutonium or cesium or other radioactive fallout materials. Iodine is important for adrenal, ovarian, breast pancreatic and all endocrine (hormone) gland function, not just the thyroid. All the cells in the body use iodine. Iodine is protective against toxicity from bromine, fluoride and chlorine. Unless it is being taken for emergency protection or treatment, the best way to initiate an iodine supplementation program is by starting at lower daily doses and gradually increasing to higher doses. There is more to radiation protection than just iodine. Use anti-oxidants, selenium, sulfur, N-Acetyl Cysteine and sea vegetables are among many other substances for all around protection. Best food sources of iodine in addition to kelp include dairy, meat and eggs. Ingestible clays can be protective Get some bentonite or kaolin and put 1 or 2 teaspoonful in a glass of water and drink it down on a daily basis. it's great for diarrhea and overall detoxification too! And it's a source of minerals. Chlorophyll drops can be helpful as a chelating (protecting) agent. Also high chlorophyll vegetation like chlorella and spirulina can be helpful. Possibly green drink products made with veggie powders (organic is always best) can be used. Green tea may also be helpful.